A lack of promotion rears its ugly head here too, particularly in the LMES, but also in the FIA GT Championship: SRO will have to up its game with the division from the WTCC in 2006. That split in itself was seen as bad news by one member of our panel. Jean-Marc Gounon’s disappointing form for Oreca registers here too, as does Soheil Ayari’s run at Le Mans. No season-long Aston Martin programme anywhere was felt to be something of a downer too, as was the late problem that prevented a Le Mans finish for Team Jota. The overwhelming winner (or rather loser) here though is a question of both numbers and quality. Two years ago the FIA GT Championship’s full season entries in GT2 numbered well over a dozen, and there was quality in depth too. In 2005 there was little to trouble the pair of super-strong GruppeM Porsche 911 RSRs, other than some valiant runs from the G2 class Balfe Motorsport Mosler. The class was a major disappointment, as teams found that customers were unwilling to find the large sums required to contest a full championship, particularly with increased opportunities on offer both in domestic championships and the LMES. The stopgap G2 class made a minor impact, but not enough to salvage real competition. 2006 will be a great improvement, while the new GT3 championship will also help to reverse this trend, with the likelihood of huge, varied, competitive grids. 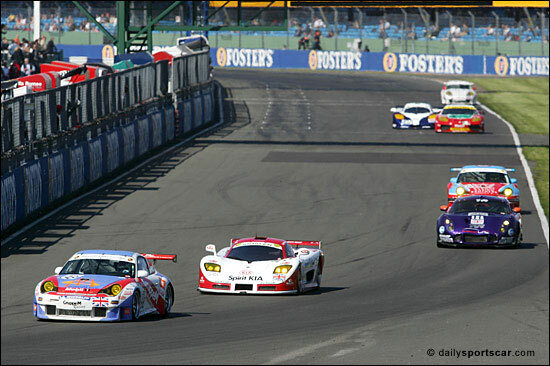 dailysportscar.com’s 2005 European Disappointment of the Year was the lack of competition in depth in the GT2 class of the FIA GT Championship.